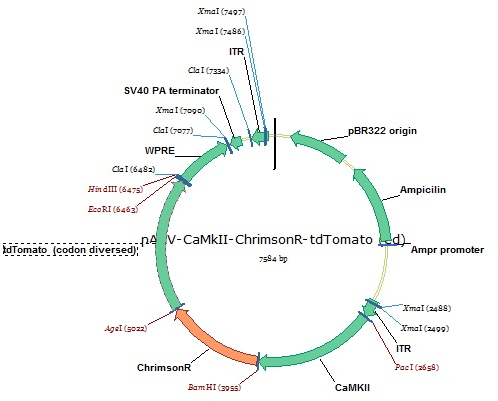 AAV-mediated expression of ChrimsonR-tdTomato under the CaMKII promoter. 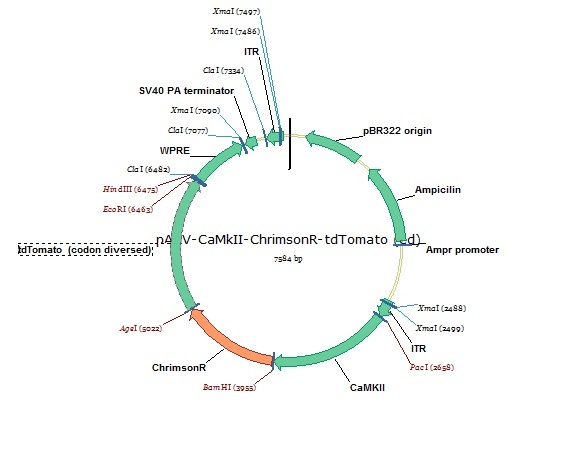 tdTomato has codons varied between the first and second tandem repeats to reduce recombination. Using SV40 signal. 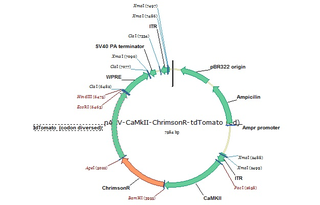 In addition, the published CaMKII promoter contains 10 basepair differences vs. the wild-type, and that persists here.